​Would you like to shave your goatee quickly and evenly every morning? The GoateeSaver is an easily adjustable goatee shaving template that will revolutionize the way you shave and trim your goatee. 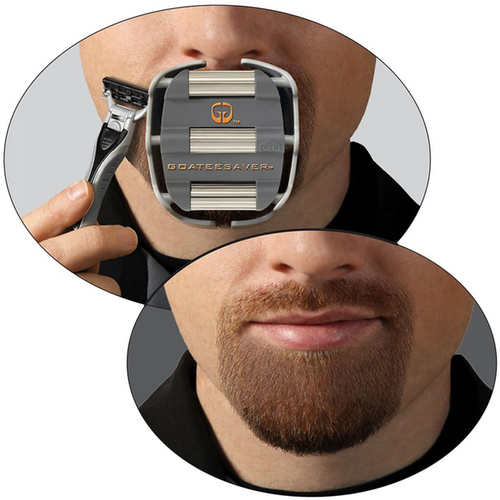 The GoateeSaver can be customized to your face in seconds, with three easy adjustments. Just place the GoateeSaver over your goatee and shave with your favorite razor to get the perfect look. The GoateeSaver is constructed with a mouthpiece for biting on to help keep the GoateeSaver firmly against the face. Note: razor not included.